Ripples are still spreading from the widely rorted VET FEE-HELP scheme, even though it ended in 2016. Fearing similar scandals in higher education, the government has imposed tough new rules for private higher education providers that risk undermining the alternative they offer to the public universities. VET FEE-HELP was an income-contingent loan for students taking vocational diploma courses. It began in 2008 as part of a broader policy agenda of reducing funding anomalies in tertiary education. If followed FEE-HELP, which from 2005 extended income-contingent loans to fee-paying students in public and private higher education providers. The common threads were that education markets would better meet student needs, and students would be treated more fairly, if funding entitlements were more consistent between vocational and higher education, and between public and private education providers. The FEE-HELP part of the agenda worked well. 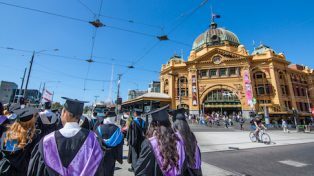 The Grattan Institute’s biennial Mapping Australian higher education report, released this week, documents how private higher education providers support many niche markets that the universities cannot, or do not want to, enter. Sometimes that is just a more personal environment, with dozens of the 127 non-university higher education providers (NUHEPs) enrolling fewer than 500 students. Other times, NUHEPs offer courses serving small markets in the arts, theology and health. More than 60,000 domestic students enrolled in NUHEPs in 2016. Critically, FEE-HELP has operated with low levels of provider malpractice. 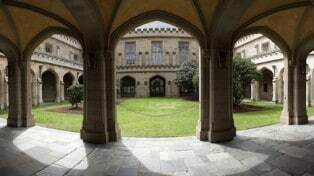 The higher education regulator, the Tertiary Education Quality and Standards Agency (TEQSA), has removed poor-quality providers from the market. By contrast, in the less-effectively regulated vocational sector education providers shamelessly ripped off students using VET FEE-HELP, leaving the government with substantial bad student debt. But in the government’s understandable determination that the VET FEE-HELP fiasco not repeat in higher education, it enacted policies that make it harder for new higher education providers to find a domestic market and create risk for existing providers and their students. In the past, once a new higher education provider was approved by TEQSA there were a few additional regulatory requirements needed for FEE-HELP approval. But providers that followed known rules could get access to FEE-HELP and offer it to their students. Now the minister needs to be satisfied that the provider has sufficient experience in higher education, with three or more years of TEQSA registration a consideration. But two providers were approved for FEE-HELP this year and both are less than three years old. But a three-year delay could be fatal for a new provider. In the interim, all its students would have to pay their fees upfront, while students at its competitors can defer paying anything until they earn $45,800 a year. Compounding the problem, the government also limited access to student income support to providers that offer FEE-HELP, overturning a policy of neutrality between providers that had been in place since 1974. These changes are a big policy reversal for a government that in 2014 tried to make NUHEP students eligible for demand-driven funding. The minister also has new powers to restrict FEE-HELP payments to specified numbers of students or amounts of money. The government says that this is to deal with unscrupulous providers. But the legislation does not specify this, and so caps could be imposed for a wide range of reasons. The funding freeze imposed on the public universities last December highlights the dangers of wide ministerial discretion. NUHEPs and their students could lose vital financial support at short notice. Vague FEE-HELP rules and the demand-driven freeze are steps backwards from rules-based policy to ad hoc ministerial decision making. TEQSA’s approach provides a better model for dealing with FEE-HELP risks. It registers or deregisters existing and potential higher education providers based on detailed rules, along with published advice on how it applies those rules. In monitoring compliance with the rules, it uses a range of announced risk indicators that allow it to intervene if necessary. This model of regulation gives providers and students the predictability they need for long-term investment in education. It can support new higher education providers entering the system to meet new demands and compete with existing providers. And it can do this while still providing clear powers to stop a rogue provider exploiting FEE-HELP.